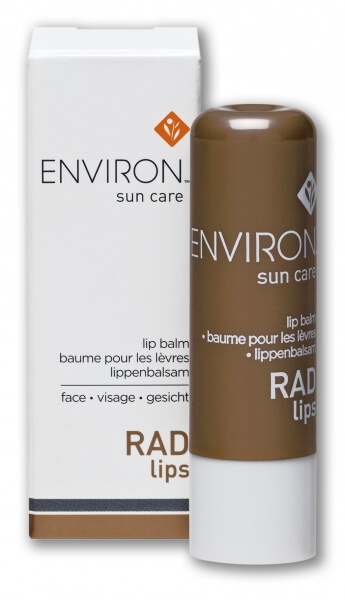 Environ's RAD Lips helps to moisturise your lips, leaving them feeling naturally hydrated, soft and supple. RAD Lips contains UVA and UVB protectors that provide an SPF 15, helping to protect against the visible signs of premature ageing of the lips, UV damage, wind and sun burn. RAD Lip Balm also contains Shea Butter and Bees Wax to assist in deeply hydrating and moisturising. Environs RAD Lips is now available.